Half a century ago, our state faced a shortage of rural health care providers, and it was Texas Tech who stepped forward to address the problem. Our solution came in the form of a new medical school. 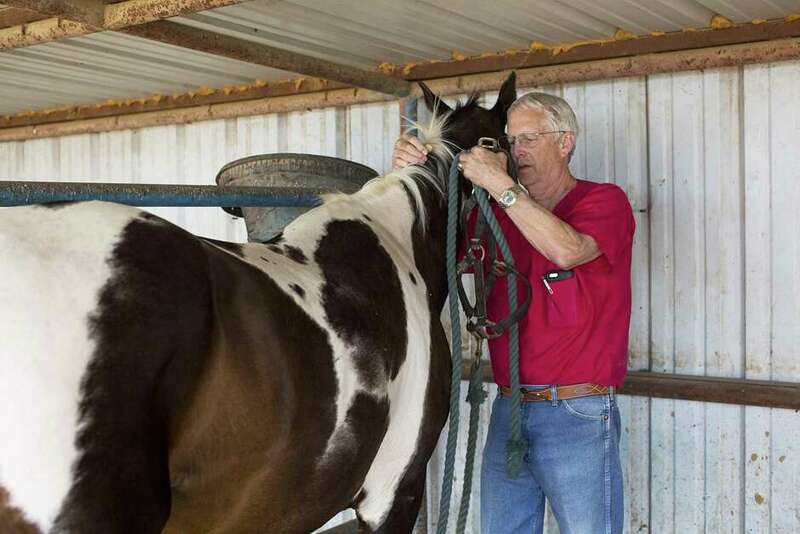 Today, there’s a similar issue facing Texas - a shortage of rural and livestock veterinarians. We’re positioned to answer the call again. Since our flagship’s founding in 1923, agriculture – along with its hard-working people – have been ingrained in our heritage and culture. In the generations that have followed, Texas Tech has been at the forefront of education and research to solve problems for this important industry. When first announcing plans to develop a veterinary school, we vowed to work with industry leaders and communities to answer the critical needs of agriculture, this region and our state. Collaboration has been at the heart of our unique model for veterinary medicine, and we are fortunate to have received many key endorsements along the way. Texas is an agriculture state where there’s a lot of land to cover, livestock to tend and communities to serve. The demand for veterinarians and veterinary education has far outgrown the capacity of any one institution. With a Texas Tech veterinary school, Texas would join states like Alabama, Tennessee and California, all of which have more than one veterinary school. Texas Tech University is working to establish Texas’ first veterinary school in more than 100 years. Responding to the needs of our state and nation, the university has developed an innovative, world-class School of Veterinary Medicine to address the critical shortage of veterinarians serving small, rural and agricultural communities throughout Texas and to increase access to affordable education in Texas. Texas has a critical shortage of veterinarians who serve our small, regional and agricultural communities. It’s a problem that has been documented since 1971 and widely recognized by entities such as the American Veterinary Medical Association, National Academy of Sciences, U.S. Government Accountability Office and Texas Higher Education Coordinating Board, among many others. In 2016, there were roughly 6,600 veterinarians in Texas; however, the overwhelming majority of these veterinarians practice in urban and suburban areas, creating a maldistribution of veterinarians across the state. In Texas, 74 percent of counties have fewer than 50,000 people. In these counties, more than 40 percent of licensed veterinarians are over the age of 60. Texas employs the second most veterinarians in the U.S., but more than 30% are 60 years of age or older, and may leave the profession in the next decade. In the rural communities that percentage increases to nearly half, while many rural counties don’t have a veterinarian at all. Moreover, the veterinary job market is expected to grow at more than double the rate of other professions. The economic impact of the Texas food and fiber sector totals about $100 billion, and healthy herds are critical for national and global food security. Texas leads the nation in cattle, sheep, goat and mohair production and has the highest number of horses and food and fiber animals in the U.S. And while Texas has the largest cattle population in the nation, it ranks last among the 10 most populous states for the ratio of cattle to veterinarians. "Don't go where the path may lead. Instead, go where there is no path and leave a trail." In 2017, there were nearly 600 applicants to the state’s existing veterinary medicine program; only 142 were accepted and enrolled. That same year, more Texas students were forced to leave the state to pursue their education in veterinary medicine than the number of first-year students enrolled in the state. Texas – a state that leads the nation in fiber and livestock production – has become overwhelmingly dependent on other states and countries to train its veterinary workforce. Graduates of the state’s only existing veterinary education program in Texas once accounted for almost 80% of licenses issued annually. Graduates of the program now account for only approximately 24% of licenses issued. Amarillo is the epicenter of livestock production for the state and nation. It’s also home to our Texas Tech University Health Sciences Center campus with nationally-ranked Schools of Pharmacy and Medicine. There are approximately 12 million head of cattle in Texas; over 95% of beef on the Texas market comes from the Panhandle and nearly 70% of Texas’ milk production now resides in the Panhandle. Currently, the closest veterinary schools to Amarillo are not in Texas; they’re in Kansas, Oklahoma, and Colorado. The demand for veterinarians and veterinary education in Texas has grown beyond the capacity of any one institution, and Texas Tech is poised to establish a School of Veterinary Medicine that stands to solve and serve the needs of our state. Our vision transforms the landscape of veterinary medicine by introducing a new educational model that places strategic emphasis on student recruitment, immersive and innovative curriculum, industry collaboration and affordability, among other unique attributes. Texas Tech has adapted its model for veterinary education from a fully accredited, trailblazing program at the University of Calgary in Alberta, Canada. It was designed to specifically address the need for veterinarians in rural areas and has delivered on its promise. In seven years of graduates, 98% have stayed in the region while 63% accepted private practice positions that serve rural areas. Texas Tech’s curriculum is designed to recruit and train students who have a passion for serving agricultural and small communities, while also increasing affordability and real-world experiential learning. The model eliminates the need and expense of a traditional teaching hospital, making it cost-efficient and distinct from the state’s existing program. 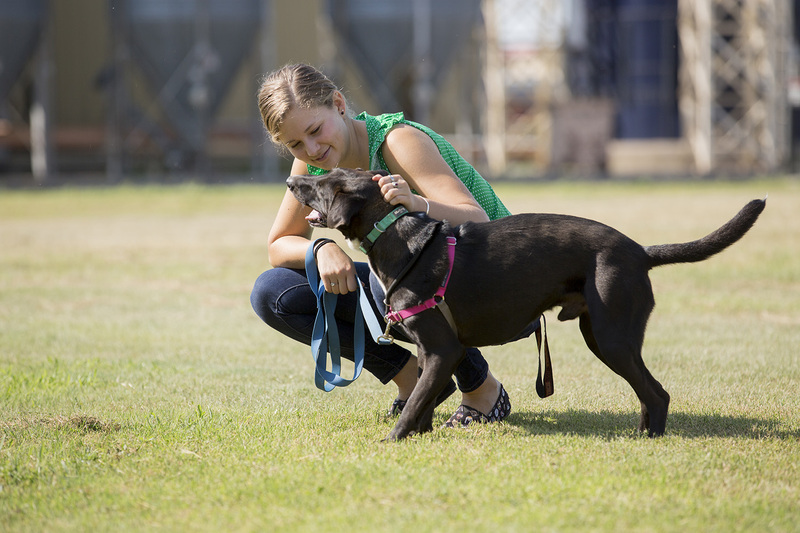 This approach utilizes expertise of existing veterinary practices through partnerships that will provide students more hands-on learning experiences and opportunities. The health of humans is intrinsically connected to the health of animals. “One Health” is an integrative movement that fosters innovation through interdisciplinary research and collaboration. Our School of Veterinary Medicine will be headquartered at Texas Tech University Health Sciences Center’s Amarillo campus with nationally-ranked pharmacy and medical schools, the first of its kind co-located on an entirely healthcare-dedicated campus presenting a unique opportunity to advance One Health concepts. Located in the epicenter of America’s livestock production, our School of Veterinary Medicine will create skilled, high-wage jobs, drive innovative research and further Texas’ prominence as an agricultural leader in the world. A first in Texas in more than a century, the creation of the state’s second veterinary school will foster new opportunities for industry collaboration, expand economic productivity in a vital sector and revolutionize veterinary services in Texas. 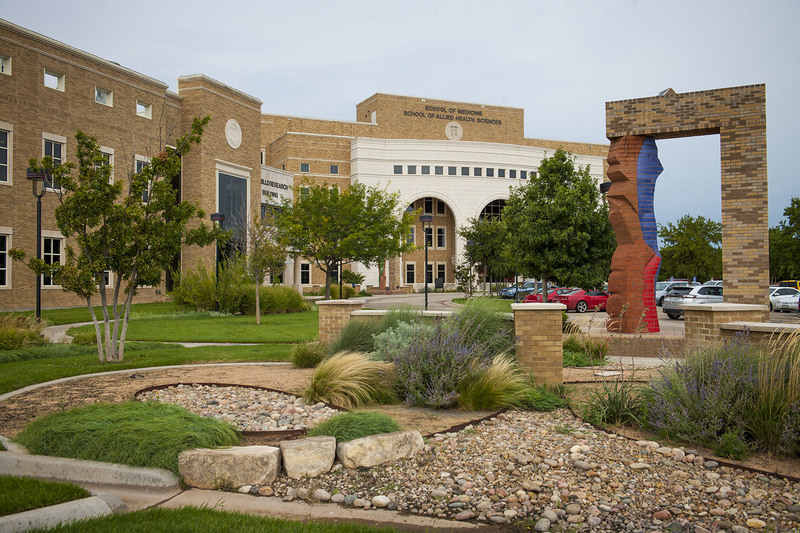 Stay connected with the future Texas Tech University School of Veterinary Medicine. Your encouragement, endorsement, and contributions will allow Texas Tech University to construct and develop the School of Veterinary Medicine in Amarillo and revolutionize veterinary services throughout Texas’ agricultural communities. Through your generosity and support, we can fulfill a growing need by indelibly shaping the future of veterinary education and enriching our great state’s agricultural heritage. Provide your information & stay up to date on progress. Guy H. Loneragan, B.V.Sc., Ph.D.
All throughout this journey, we’ve been encouraged and inspired by true Texans who see the need and believe in our vision for a veterinary school. This has propelled our initial motivation and continues as our driving force. By liking and sharing our efforts on social media, you’re showing your support and allowing our message to reach a wider audience. The Texas Tech School of Veterinary Medicine will be one of a kind and is a necessary development for the citizens of Texas.